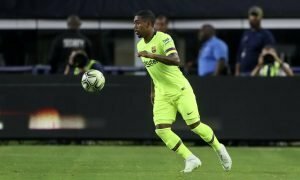 Full details of Arsenal's record-breaking signing leaked | The Transfer Tavern | Where football transfer rumours fly or die! Arsenal fans in the Transfer Tavern hoping for some big news didn’t quite get what they bargained for as they tucked into a steak and ale pie this afternoon, following leaks of a crucial document. Metro revealed documentation published by Football Leaks, which reveals the true cost of Arsenal’s record-breaking acquisition of Mesut Ozil from Real Madrid in 2011 is actually £38m, less than the £42.5m reported. 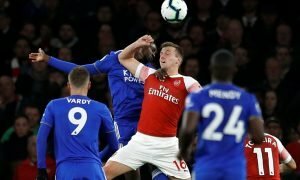 Arsenal’s 10% discount is due to the fact the Gunners are paying the fee in euro’s- but there’s still intriguing pieces on the document which are worth a further look. 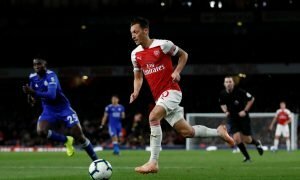 It’s shown that Real Madrid will earn 33% of the fee Arsenal receive for Ozil, should he be sold for more than £38m, and Los Blancos possess a first-refusal option on the German international should Arsenal accept a transfer offer from another side. Fortunately for Arsenal fans, unlike a number of other deals involving the Spaniard’s in the past, Real Madrid do not possess the option to capture Ozil for a fixed price and there is no release clause in the document. Arsenal fans, has Ozil been worth his sensational price-tag? Let us know in the comments below!